We have spent much of this month focused on Generations For Peace in Jordan, but as you know this organisation works in 50 countries and territories! One such country is Indonesia. 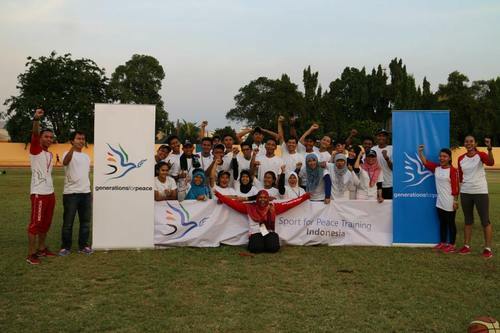 This week, from 22-24 November 2013, our Indonesian Pioneers conducted a three-day Sport for Peace Training (SPT) in Jakarta. 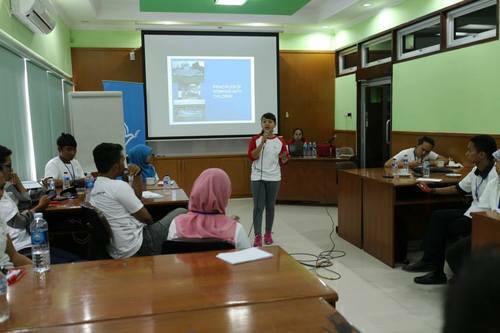 Selected on the basis of their commitment to community empowerment, this SPT brought together participants from the Indonesian provinces of Aceh, Jakarta, West Java, Central Sulawesi, South Sulawesi, and Banten. During the SPT, trainees were granted a combination of theory-based classroom sessions and outdoor practical sessions. 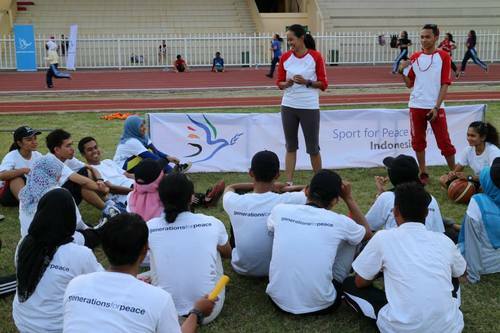 As part of the practical training, the Indonesian Pioneers invited 20 school children (from ages 4-10) and asked the trainees to adapt the sport-based games they learnt to the target group.